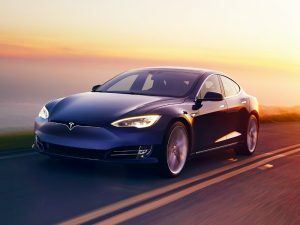 Tesla has added its biggest battery yet to the Model S and Model X electric luxury cars, and is offering existing owners the ability to upgrade even if they have taken delivery. The new battery has a capacity of 100kWh, which is more than four times that of the original Nissan LEAF. At launch, it’s only being offered as a high-performance option, replacing the 90kWh P90D with the new P100D version on the carmaker’s two-model, but it’s likely that a 100D version will follow. This makes the Model S one of the fastest-accelerating cars in the world. The P100D with Ludicrous Mode will reach 62mph in 2.7 seconds on its way to a 155mph top speed. It also offers a range of 380 miles to a single charge, under the European test cycle – up from 316 miles for the P90D. In the Model X SUV, the P100D version offers a 337-mile range and reaches 62mph in around three seconds. Customers in the United States who have ordered a P90D can upgrade to the P100D for $10,000, while those with cars already on the road can have the battery replaced with the new 100kWh version for $20,000. The old unit will be recycled, Tesla said.